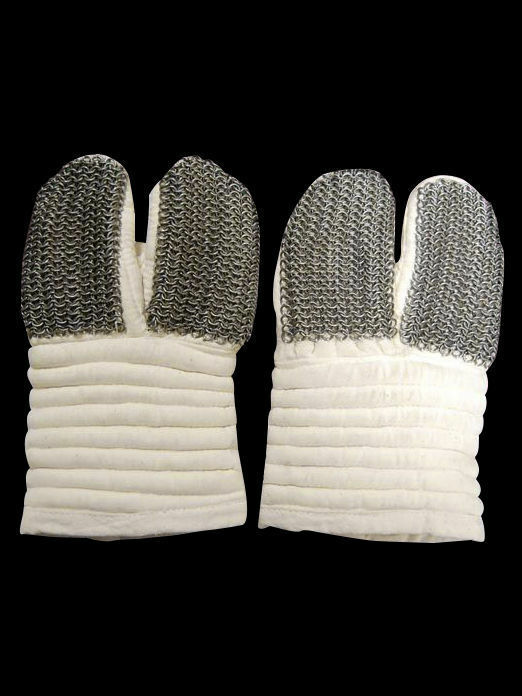 Padded 3-finger gauntlets will protect your hands perfectly during the medieval fencing or tournament. We use only 100% natural materials for sewing and padding. Mail inserts on the fingers are being made of mild steel rings 2 x 10 mm. Type of butting is 4 rings in 1. Gambeson, padded chausses, chainmail and mail stockings will make a great set of medieval armour. Please choose the wished colour in the options. 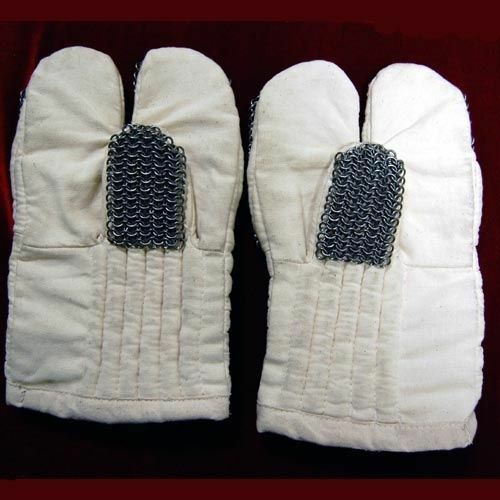 Protection of hands is very important factor during the medieval fencing. We offer you leather 3-finger mittens with mail insert for your hands' safety. Leather of different colour is available for order. Mail part is made of mild steel rings 1.6 x 8.0 mm. Type of butting is 4 rings in 1. Mittens will be good addition to hauberk and mail stockings. ..